Fort Wilderness Resort and Campground will close beginning Saturday afternoon 9/9 at 2PM. Performances of Hoop-Dee-Doo Revue and Mickey’s Backyard BBQ have been cancelled for Saturday 9/9, Sunday, 9/10, and Monday 9/11. The Spirit of Aloha Dinner Show at Disney’s Polynesian Village Resort has been cancelled for Saturday evening, 9/9. Highway in the Sky Dine Around is cancelled for Saturday evening, 9/9. Disney’s Vero Beach Resort will close Friday 9/8 at 2PM. Disney’s Hilton Head Island Resort will close on Saturday 9/9 at 10AM. These closures and cancellations are in addition to the special events cancellations and water park closings announced earlier. Stay tuned to WDWNT.com for continued updates. And if they close too soon, you would complain about that also. They cant win with people like you! Every resort hotel is sold out for the weekend. I realize that many of the rooms are probably being used by evacuees but why not leave the parks open as long as it’s safe. There’s no danger through Saturday for the Orlando area. What about the Cast Members that have not had time to make sure their families and homes are prepared for the storm? 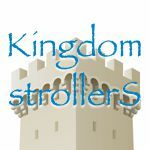 So with the campground closed – and not knowing when it will reopen- what should one do if there scheduled to go to WDW . Exactly! I got in touch w/Disney via internet yesterday and they would not reschedule our stay for next week. I will not feel right traveling in our RV thru areas hit by huricane to vacation in Disney so soon after this event. I was told I could cancel but not reschedule which means I will lose my money. We were to arrive at Fort Wilderness last October when Matthew was coming thru. Reservations were to start on Friday and they called me and moved our reservations to start on Sunday. We travelled from Tennessee to Orlando on Saturday and stayed at a campground out side of Disney and went over to check in on Sunday morning at 8:00 there were about 15 people in front of us and all was well and everyone was safe. The campground had flooded in a few of the loops. As someone whose been going there since 1974, stayed at the Campground several times I knew the hurricanes would play havoc on Ft. Wilderness. Disney can do a lot, but storm damage cleanup is among the most time consuming jobs out there. Maybe by next spring Ft. Wilderness will be back better than ever.